MTI in the news! Excerpts below from SGB’s website. It was nice for little MTI to be on the stage with the likes of Patagonia at the Industry Breakfast at OR! Northeastern Minnesotans for Wilderness (NMW) for their Save The Boundary Waters campaign. 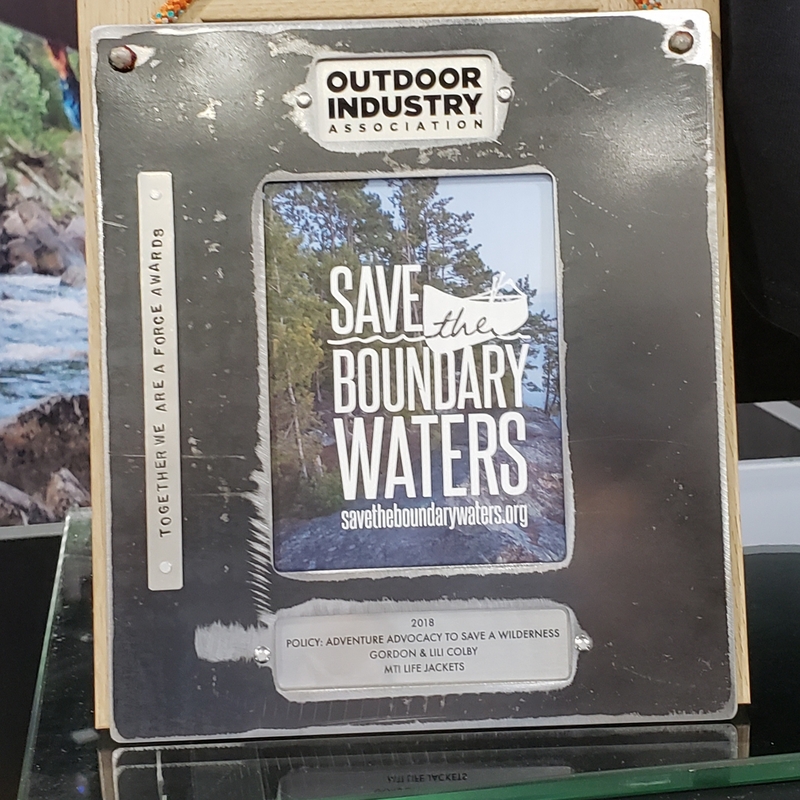 Together with OIA member companies Piragis Northwoods Company, MTI Adventurewear and Patagonia, NMW launched and supported what became a three-part, three-year adventure advocacy campaign to bring awareness of the Boundary Waters Wilderness to a broad audience. “The most effective way to drive positive change is to work with great partners who inspire you,” said Sam Chadwick, deputy campaign manager for the Campaign to Save the Boundary Waters.